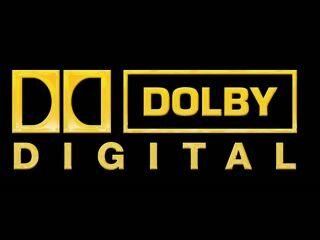 Dolby has been previewing a couple of exciting new technologies at CES this week, with both Dolby Volume and Dolby Vision set to improve the TV experience in 2009. Dolby's been showing off Dolby Volume in a number of new Toshiba REGZA LCDs at CES this week which, the company claims, promises an "end to loudness issues in the living room" and "will give consumers unprecedented control over their listening experience at home." Which is good news for those of you out there that get annoyed when those annoyingly loud ad breaks pop up, we imagine! The most interesting news from Dolby at CES 2009 is the fact that Dolby Vision – which is part of Dolby's High Dynamic Range (HDR) series – is being showcased at CES in a SIM2 prototype LCD. Our guys on the ground should bring you some of their impressions of this exciting new tech from Dolby later this week, but in the meantime, you basically need to know that Dolby HDR video technologies "utilize the capabilities of LED-based backlight units (BLUs) to provide outstanding contrast combined with crisp brightness to deliver picture quality that matches real-world visual perception of depth, detail, and color." Dolby is currently working with SIM2 to develop a HDR-enabled LCD display, with the technology promised to be on show at some point in the first quarter of 2009. Rest assured, we'll be banging on Dolby's door to find out when we can feast our eyes and ears on all this new, exciting high def audio visual tech. "Some of the best-selling and most-popular notebooks feature Dolby to activate great sound," reads Dolby's CES release. The company are showing the latest laptop designs from Toshiba, Sony, Acer and HP which use its technologies. Dolby is also showing a number of new headsets from the likes of Logitech (G35), Plantronics (GameCon 777), Astro Gaming (A40) and Turtle Beach (Ear Force X4) for those who like their surround sound, but don't want to annoy the neighbours in the flat next-door. Finally, Dolby informs us that the company "continues to marry its R&D with advances in processors, storage and networking to create better experiences for the future." Several recently announced technologies that point to a more amazing future include Dolby Pulse which "combines the efficiency of High Efficiency AAC (HE AAC) audio coding with Dolby's proven quality and broadcast expertise" and Dolby Axon gaming technology which "enables developers to deliver a realistic voice experience that matches the game environment." The latter, in particular, sounds like it will change the audio experience in gaming quite drastically, as "voices get louder as gamers approach one another, and fainter with distance. "Like in life, voices are obstructed by objects in the game or virtual environment. Dolby Axon's integrated voice gives creative control and provides unique interactive features that expand game play possibilities."